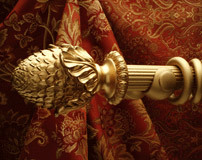 We allow you to create the perfect decorative drapery hardware at the convenience of your own home. 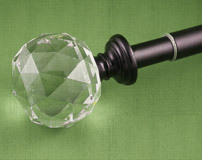 Sit back and enjoy browsing through our large selection of quality curtain rods, finials, brackets (single, double, ceiling, wall-mount, passing), rings, holdbacks, elbows, rod connectors and much more. Once you find the perfect drapery hardware pieces, add them to your cart and check out. There are no hidden fees and we ship to you almost immediately. View our iron drapery hardware collections. 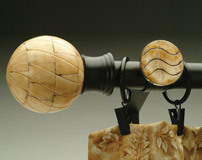 View our wood drapery hardware collections. View our extendable drapery hardware collections. On our website you will find only the best quality and the most trendy drapery hardware in America. All our drapery hardware collections offer a complete assortment of drapery hardware pieces allowing you to buy exactly what you need. You have the option of purchasing a single product, couple products, few products, or a complete drapery hardware set including curtain rods, finials, brackets, elbows, curtain rings, holdbacks, rod connectors and more - You are the designer. Our drapery hardware products are durable and easy to install. Any handyman can assemble and install our drapery hardware with ease. Our curtain rods and drapery hardware prices are some of the lowest in the industry considering the quality of our products. 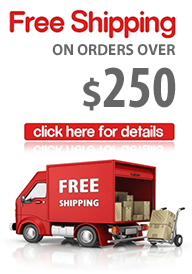 Plus we offer FREE SHIPPING when you purchase over $250 worth of drapery hardware on our site. Our website is regularly maintained and offers the highest security standards available. Your personal information and credit card details are 100% safe when used on our website.